ERC's pricing Friday is clouded in uncertainty with a contempt proceeding on its doorstep for failing to respect a Bungoma High Court order by Justice Stephen Riech quashing the implementation of the 16 per cent levy on petroleum products to enable the President to either assent to or reject the amended Finance Bill passed by the National Assembly. 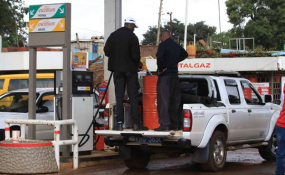 Wednesday, government spokesperson Erick Kiraithe's newspaper commentary that the president is yet to receive the bill pushing the tax by two years paints an even grimmer picture over the fuel tax stalemate. "The matter is coming up for further directions on Monday but for us we are puzzled by how a government agency can disobey a court order and then come before court to try and set it aside. They ought to have complied first, that is the law," Lawyer Ken Ken Amondi, of Amondi and Company Advocates who represented the Sumawe Youth Group in the case told Nation. Another oddity facing Friday's price revisions is the increasing costs for crude oil through the month of August which will be key in determining the pump prices since landed cost is a key component of the monthly price revisions. The crude oil prices have been on the rise from a low of $75 per barrel at the beginning of the month to yesterday's high of $79.4 per barrel (according to Brett crude data), meaning ERC may be forced to raise the prices amid foul public mood over the VAT. "There is obviously no political goodwill to relieve consumers from this burden and for ERC to pretend to be implementing a tax law while ignoring a court order is simply double standard. You will still see a rise in pump prices tomorrow based on these dodgy moves they have made since last week when we all know these products are already overtaxed. The president must make a move, it's an unprecedented silence from him on this one," Mr Mutoro said.